This booklet is our attempt to bring forth the voices of our beneficiaries so that their story of change is well documented and available for everyone to experience. As cities grow, so does the problem of waste management. Currently, world cities generate about 1.3 billion tonnes of solid waste per year. This volume is expected to increase to 2.2 billion tonnes by 2025. The impacts of this waste are significant, emitting methane gas, and with uncollected waste contributing to flooding, air pollution and public health impacts such as respiratory problems, diarrhoea and dengue fever. 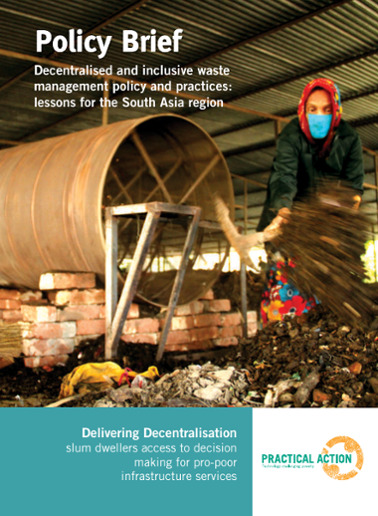 In cities in the developing world, solid waste management can be the city’s single largest budget item. At the same time, the largely informal collection and recycling business provides a livelihood for more than 2 million poor people. 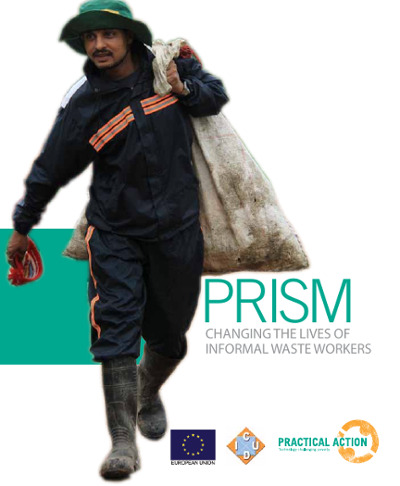 In Lima, Peru, only 0.3% of waste is recycled by the formal sector compared to 20% by waste-pickers. In Lusaka, Zambia, informal service providers reach out to 30% of the city. 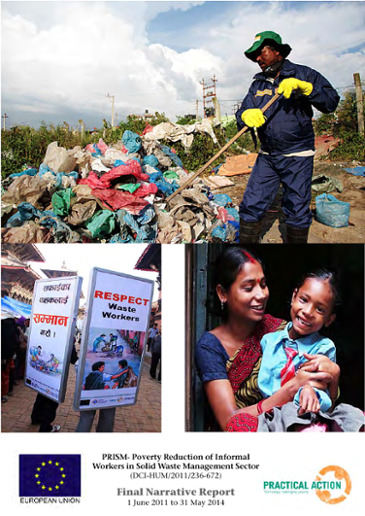 In our work on waste management, we engage with some of the poorest and most vulnerable members of the urban community. This requires significant sensitivity and skill to build trust and address people’s problems in a holistic way in partnership with others. recognise the existing contribution of the informal sector. We would like to ensure space remains for them to play an important role in the waste management system, and to improve their livelihoods. see improved waste collection systems for slum and low income areas which are often neglected by municipal systems. This includes promotion of home separation and collection of waste. We use participatory market systems approaches in our work on particular waste streams (plastics, paper, organic waste) to find leverage points to ensure greater value flows to people lower down the value chain. We are promoting affordable and appropriate technologies across the waste collection, transportation and recycling / disposal chain. This includes locally-adapted ways of producing compost or biogas from organic waste, locally-adapted means of transportation, and the promotion of locally-made home composting or vermi-composting units.